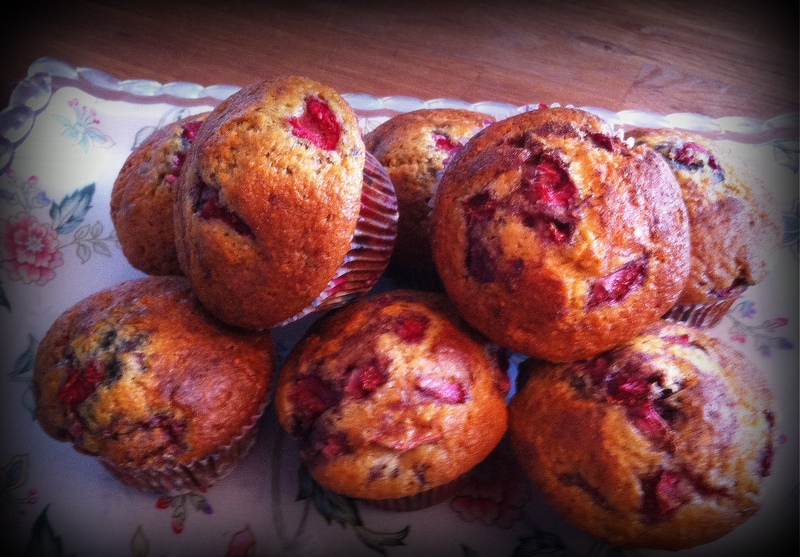 Our amazing Nanny came up with these muffins, and they are fabulous …. Thanks Kenzie! 2. Mix flour, sugar, brown sugar, salt, and baking powder in a bowl. 3. Beat eggs and butter in a separate bowl then mix in milk. 4. Mix wet and dry ingredients until just mixed then fold in fruit. 5. Bake for 20 minutes. For a little extra fun topping, scatter a bit of your fresh fruit on top of the muffin, and sprinkle with cinnamon and sugar. This entry was posted in Baking, Recipes and tagged breakfast, fruit, muffins by Chatty Kathy. Bookmark the permalink.